UPDATE: The deadline to apply has been extended. The Ohio Farm Bureau Foundation is offering STEM-based camps called ExploreAg. 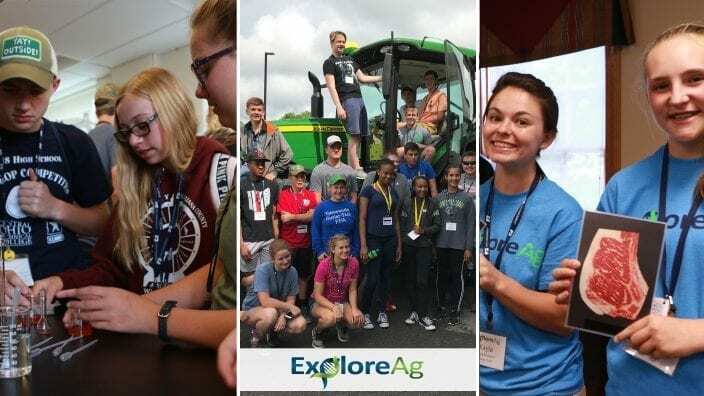 The ExploreAg program is a FREE week-long experience for high school students where they are introduced to various aspects of agriculture, food science, environmental sciences and more, both in the classroom and through opportunities for hands-on learning both on and off campus at the Ohio State University, OSU ATI and Central State University. New this year is the addition of two camps, for a total of four, and 25 students will be accepted for each camp. ExploreAg students will interact with and learn directly from internationally known teachers, scientists and researchers. Subject areas include food science, precision agriculture, animal science, natural resources, management skills, technology and agricultural business. In addition to the classroom experience, scholars will participate in field experiences that highlight cutting-edge research and meet industry partners to provide a glimpse of various careers in related fields. Program costs covered include on-campus accommodations, meals, staffing, course supplies, program materials and transportation. Supervision is provided at all times by faculty, staff and program counselors who are current college students in related majors.